Larus cachinnans 2CY PEEE January & February 2012, Osthafen - Minden & Vlotho Herfold Detmold, Germany. Picture: Eckhard Moeller & Armin Deutsch. Yellow PEEE and metal PLG DN-18857; ringed as pullus on May 10 2011 at Zwirownia Palczowice, Malopolskie, Poland (50,00001 19,450001). Zwirownia = gravel pit, this colony is situated between the towns of Zator and Palczowice in a gravel pit, about 10 km's south of Jankowice. Picture below: from the air looking south over gravel pits along river Skawa. River Skawa (Schaue) is a river in southern Poland, a right tributary of the main river Vistula. 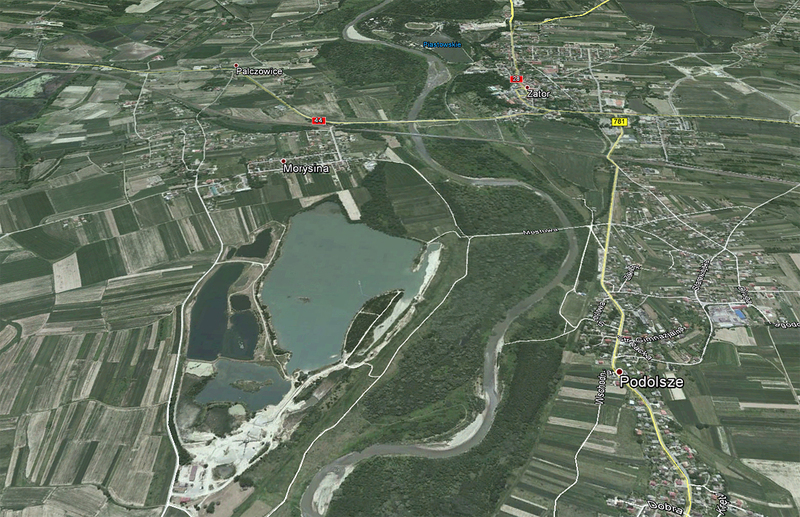 It originates in the Western Carpathians, is 96 km long and drains 1,160 km². In this area are mixed breeding colonies (near Jankowice), with far most birds breeding here are cachinnans, but in this area also records of very few michahellis from the south (e.g. 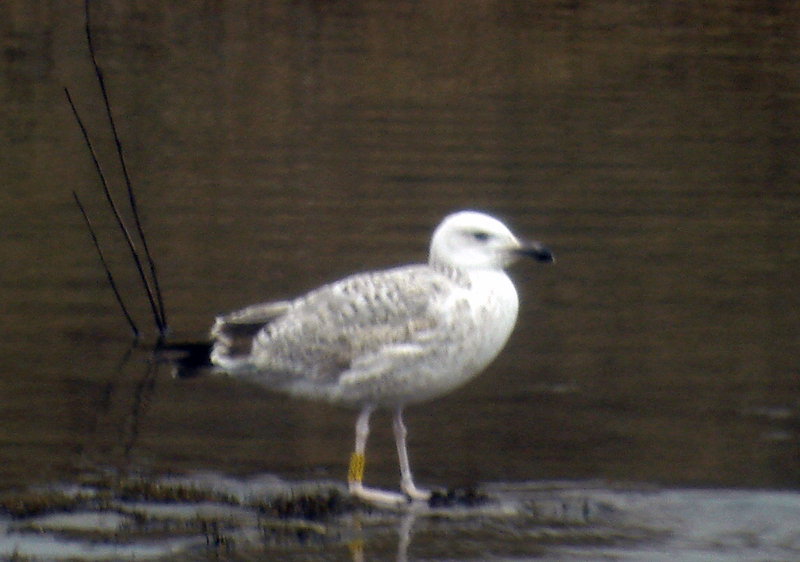 ringed female from Italy) (see PDF). PDEE is classic cachinnans. below: cachinnans 2CY PEEE January 25 2012, Osthafen - Minden, Germany (52°18'N, 08°56'E). Picture: Armin Deutsch. Bird with extensive post-juvenile moult. below: cachinnans 2CY PEEE February 16-17 2012, Vlotho Herfold Detmold, Germany. Picture: Eckhard Moeller. Upper tertials and many inner coverts replaced in post-juvenile moult. White-headed bird with obvious neck boa.